Let me just come right out and say it. This show was awesome. It has the potential to be the best action series since Highlander. Then again I said that after the first episode of Smallville and that show turned out to be the most boring superhero series ever but I digress. I thought the show was very well written. Even during the non-action sequences I felt the story was strong enough to keep my attention. I especially liked all the nods to Green Arrow and DC history such as the Deathstroke mask, calling his sister Speedy and his ex being Dinah Lance. And of course if someone is named Speedy they automatically have a drug problem which his sister does. Fanboys aren’t going to like it though since once again it does not adhere strictly to canon. They need to get over it because what I’ve always said is that the things that may work in comic books may not translate well to live action. Some people may also have a problem that Green Arrow kills some of the bad guys in this series. Some may believe that in the comics Green Arrow doesn’t kill but that’s not true at all. Not only did he kill Prometheus but he killed a slew of bad guys in the 1980s intended for mature audiences only run of Green Arrow. 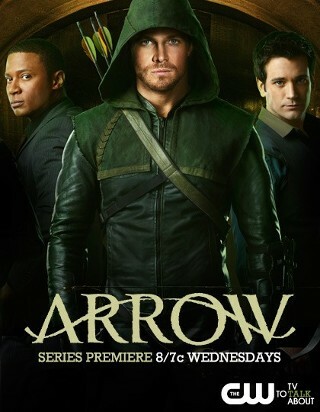 Now the challenge will be to see if Arrow keeps my attention for a full season.